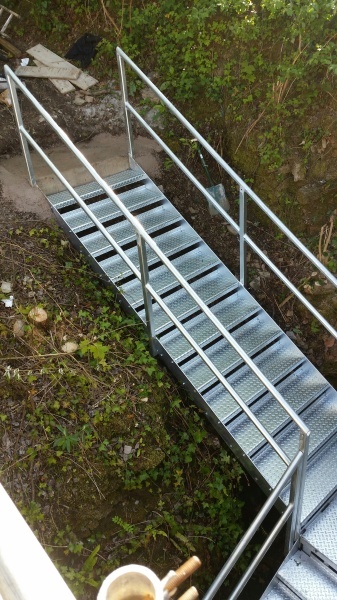 SJH Fabrications & Engineering is a small but expanding business based in the Blackdown Hills, located between Honiton and Chard. 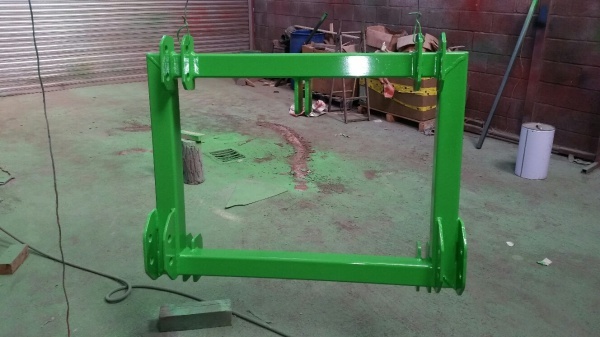 The proprioter, Steve Hunt has been involved in the agricultural field for many years, and has the benefit of a vast range of experience and knowledge in the fabrication of Farming Machinery. Since starting the business in 2011, we have established good working relationships with a variety of businesses and individuals from both the industrial and agricultual industries. 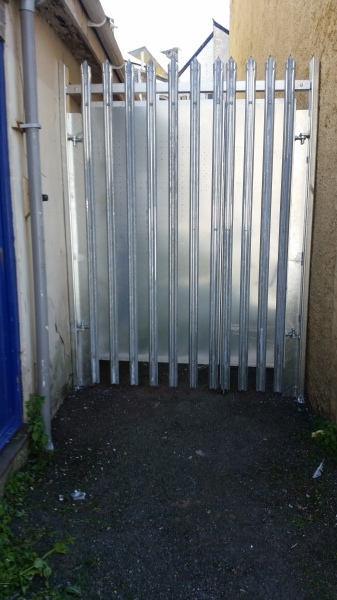 With the skills to undertake all types of fabrications and installations, we can provide a wide range of services, from industrial and agricultural, through to individual projects including; decorative gates, handrails and other general manufacturing. 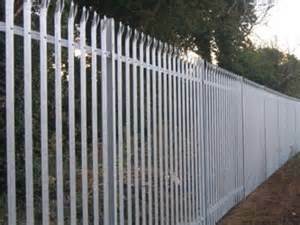 All our work can be installed on site to your requirements. 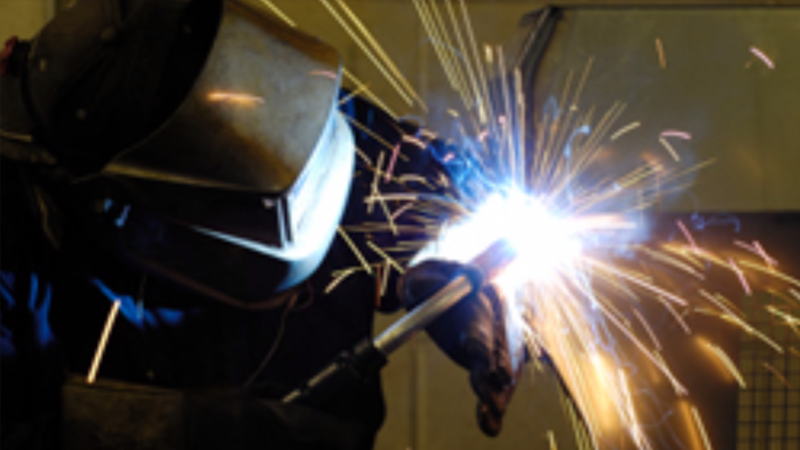 We also cover general repairs and on site welding services, including ark, mig and tig welding. 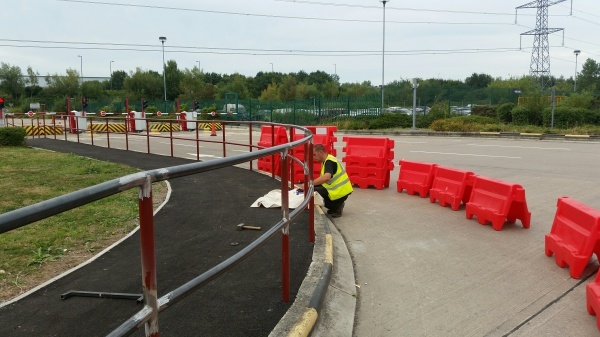 The picture to the left shows a handrail being manufactured on site. 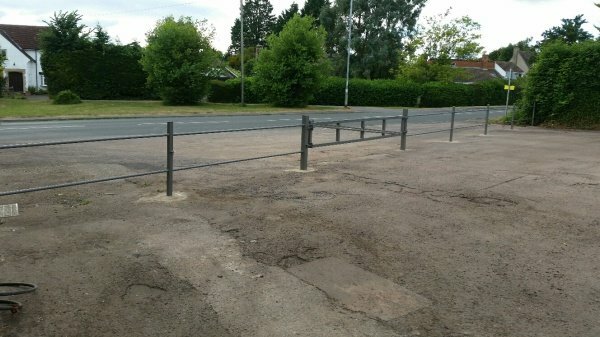 Joints were ark welded in a one piece fabrication as requested by the client. 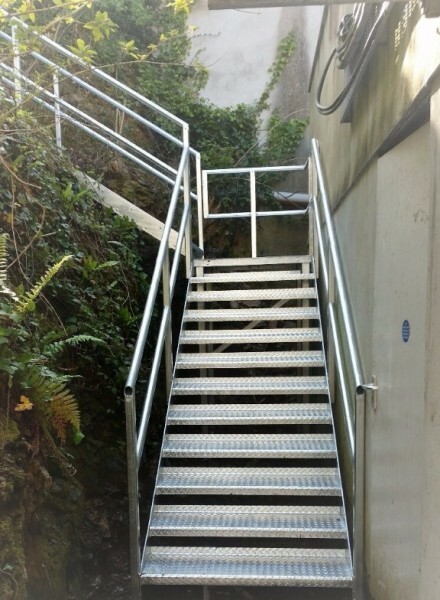 The picture on the right is a fully galvernised two storey fire escape staircase. 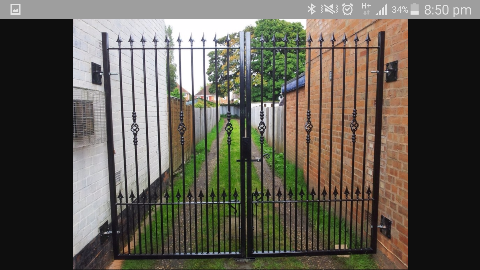 Purpose built and designed to fit in an area with limited space. 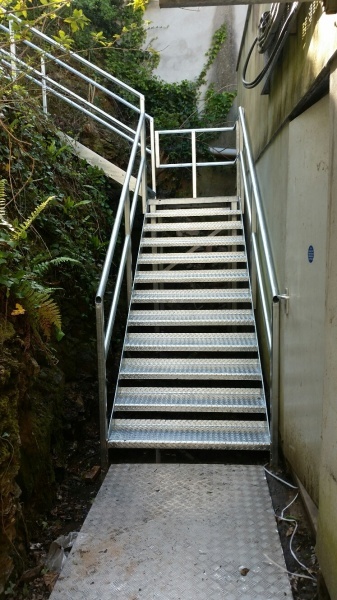 It was manufactured in the workshop and installed on site in Cornwall.